We know everyone has a busy lifestyle so it’s always convenient to buy a premix, but not anymore. With our easy to follow recipes you can make ejuice like a pro without much effort at all. let’s get started ! 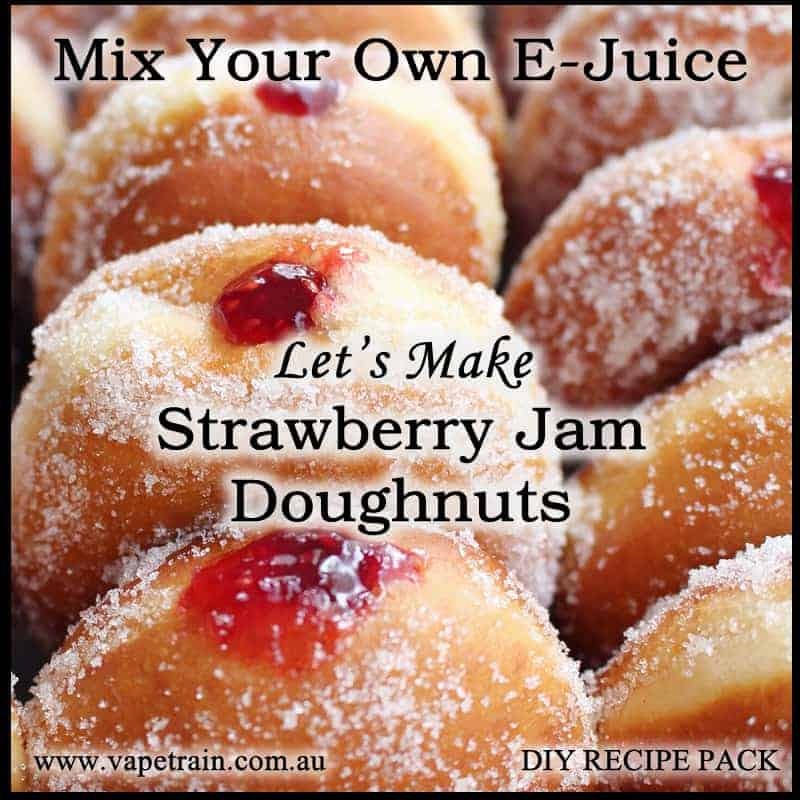 Let’s Make Strawberry Jam Doughnuts e-liquid recipe. After numerous requests from the community we’ve finally been able to offer this recipe for you to enjoy. We’ve made this as simple as possible by introducing on our Platinum one shot concentrates in this recipe. So let’s get started, as with any doughnut we are going to need a base for our recipe, and for this we will use VTA Cinnamon Donut, as this will provide all the flavours required to kick start this recipe. Secondly we need to create the jam component in this recipe which will give that gooey jammy flavour and mouthfeel. For this we will use VTA Jam It, a universal jam flavouring. 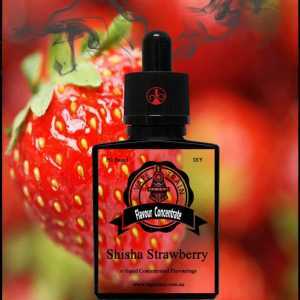 Thirdly we’ll add our strawberry to finish up the recipe, for this we will use VTA Shisha Strawberry, which is a rich strawberry flavour and fits perfectly in this mix. To tie the recipe together and add some sweetness we will a small amount of VTA Raw sugar. Feel free to adjust this recipe according to your taste, you could also optionally add a few drops of Sweet Mate, if you prefer a super sweet taste. Flavour 1: VTA Cinnamon Donut. This cinnamon donut is the complex base to our recipe, that offers the dough, bakery, buttery, cooked, cinnamon notes. Flavour 2: VTA Jam It. This universal jam offers that cooked glazed fruity, jammy taste to make the recipe authentic. 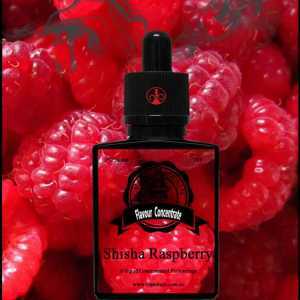 Flavour 3: VTA Shisha Strawberry. This strawberry adds a rich strawberry profile to the recipe which is whats required to create the oozing jam taste..
Flavour 4: VTA Raw Sugar. 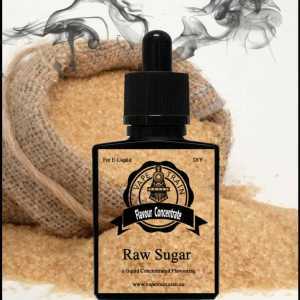 This raw sugar ties the entire recipe together whilst enhancing the cinnamon sugar taste. Why create your own e-liquid? 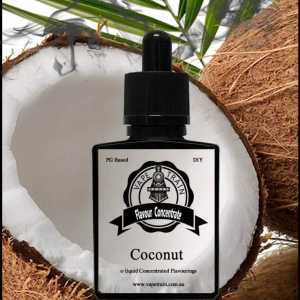 Cost is one of the major factors of choosing to create your own e-liquid and following this is total control over your e-liquid recipe to create the flavours that you like. Boost your confidence and learn how to mix your e-liquid is not only rewarding, it gives you the ability to be flexible on creating the flavours that work for you. If you’re sick and tired of paying as much as $1 per ml of e-liquid in some cases even more, then we are going to show you how easy it is to create awesome tasting e-liquids right in the comfort of your home. Please note: This pack does NOT include mixing bottles,dispensing bottles or PG/VG. Be sure to add those to your shopping cart if you require them. 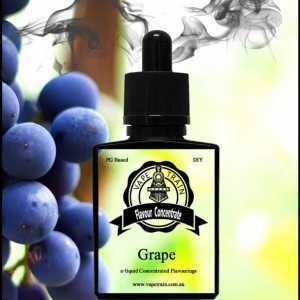 This flavour is also available in our RTV “Ready to Vape” section of our store if you’re not up to making it yourself. This flavour can be made as a “One Shot” flavour for resellers internationally at request, please contact us for this service here. This is really nice just snv this the strawberry is quite strong but suspect it will die back after a few days. i can see why they call the doughnut a one shot it is amazing.